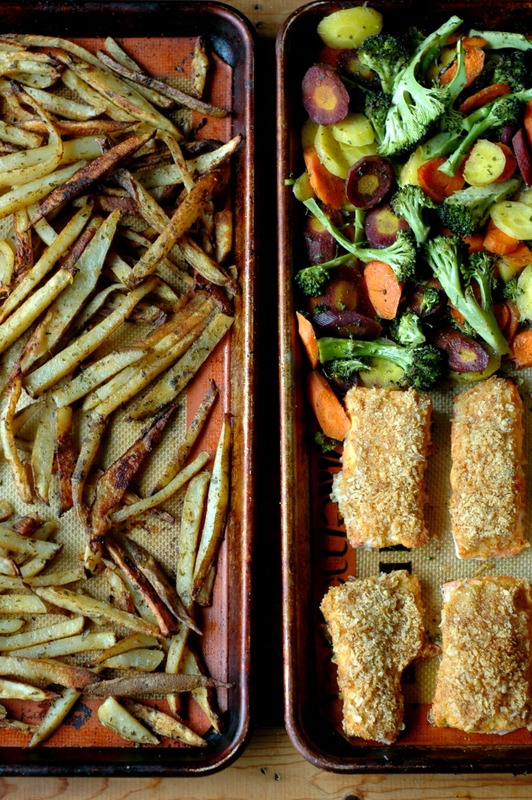 Sheet Pan Honey Mustard Crusted Salmon with Restaurant Style French Fries and Roasted Veggies :: Gluten, Grain, Nut, Egg, Soy, and Refined Sugar Free! It doesn’t get any better than a whole meal made on 2 sheet pans with this Paleo friendly honey mustard crusted salmon and veggies! …and new bird and bug friends! Spring also means busy, *hungry* kids! Did I say hungry? I meant ravenous! I watch these little people go non stop at a park visit from the time they set their foot off their bikes, to the minute they are back at home. No seriously, it is any wonder they are so hungry when it comes to meal time! 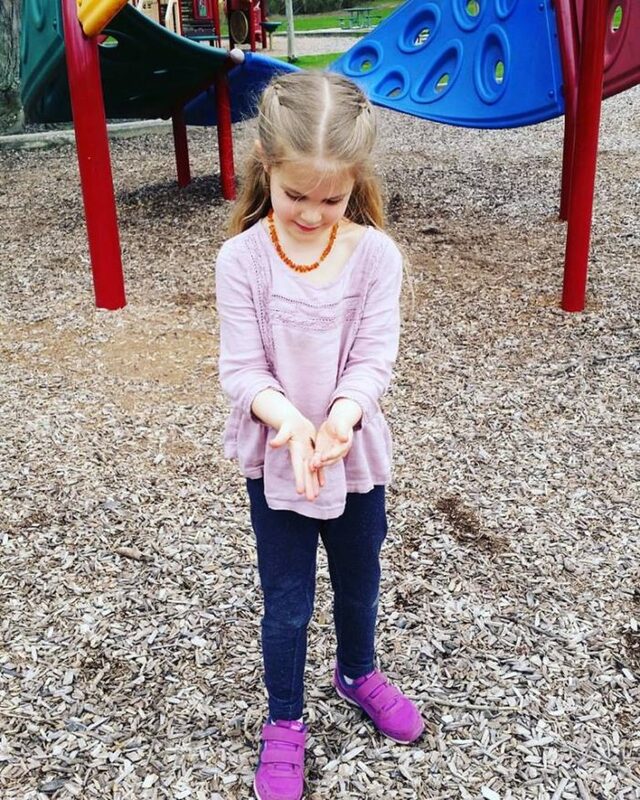 So what is a budget and time crunch conscious mom to do? 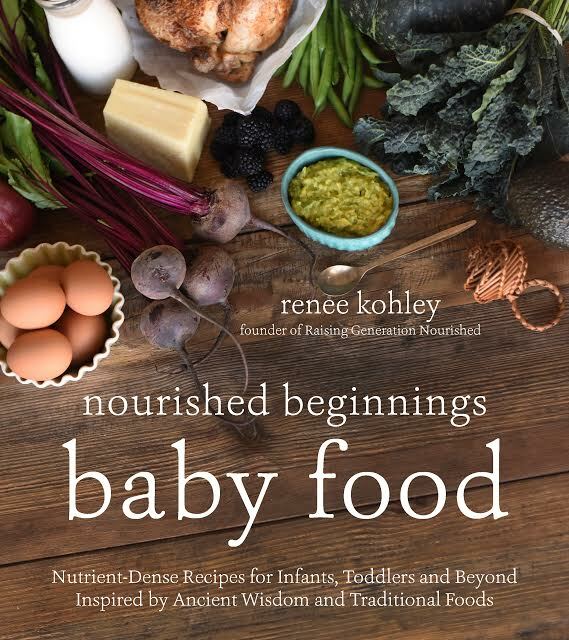 Fuel the kids with something that is going to sustain their needs – their growing bodies and exponentially growing brains. And pile all that goodness up onto a couple sheet pans so you can still have time to play outside, get the dishes done, change that diaper, and rock the baby! YES I’m calling a meal with wild caught salmon affordable! 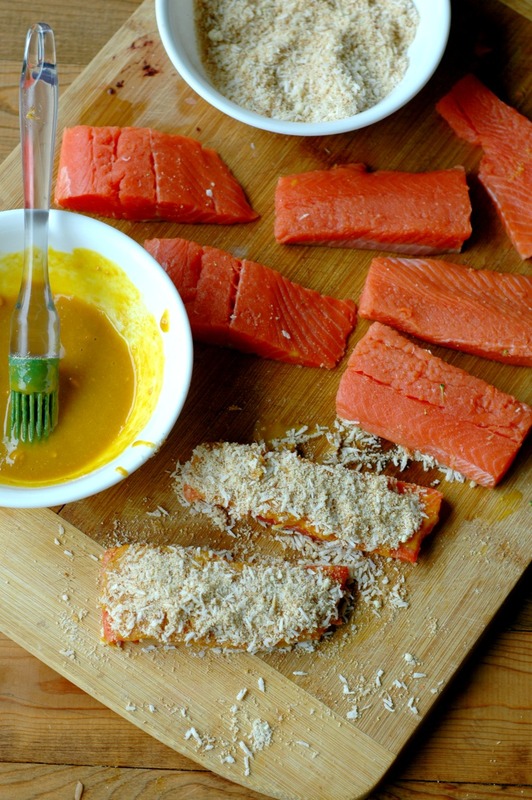 Wild caught salmon really can be a budget friendly meal. Meat portions don’t need to be much more than the size of your palm (and for the kids the size of their palm!) – I think especially many Americans “over meat” their plates. Even a small, palm sized portion of wild caught salmon is packed with brain building essentials and fat that will satiate even the busiest of kids. 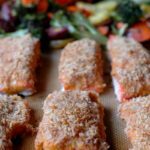 The slightly sweet and savory coating on the outside of this fish is so good too! And veggie sides are huge budget savers! Pile on the energy fueling veggies! Even the youngest of kids in my house knows that half of our plates every night is saved for veggies. They are filling, satiating, and nourishing. And when you cook them just right…oh! They are so tasty! You can pick whatever veggies you have in house for the roasted veggie part of this meal. Carrots and potatoes are so cheap – they are true budget savers in my house! And I don’t know of really any kid that doesn’t like french fries! Sides of potatoes are great, but what is it about making that french fry shape that is like a moth to a flame to kids?! These french fries are no fuss and zero special prep. The come out crispy and tasty too! Potatoes provide a fantastic energy replenishing source for active kids. I literally can watch my worn out, hungry little ones go from zero to full speed again with a meal like this. A little real life from my home! 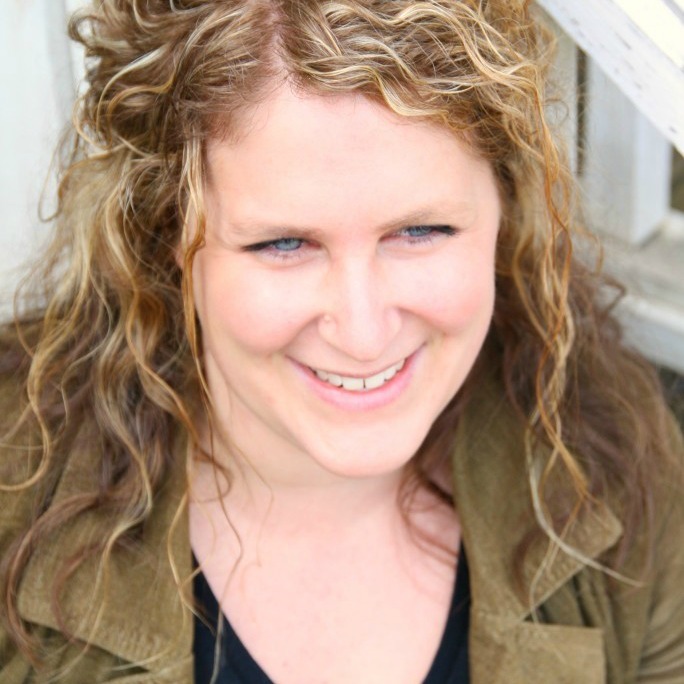 This is where the nitty gritty of the day in and day out of a real food kitchen starts. Yes, fancy treats, and fun baked goods are great. But what’s for dinner on Tuesday night? What are we going to feed a growth spurting child that needs fuel that will help him grow without us going broke? That is where my commitment to you lies. The every day life. Because I want you to see how this thing can work for you with all of my being. Happy dinner success to you! Toss the potatoes, 3 tablespoons of avocado oil, 1 ½ tablespoons of all season salt, and 2 tablespoons of parsley on a Silpat lined baking sheet so everything is coated evenly. Put the seasoned potatoes in the 425 degree oven for 30 minutes, STIRRING AROUND AT THE 15 MINUTE MARK, while you prep the other veggies and salmon. While the fries get started cooking prepare the veggie and salmon sheet. 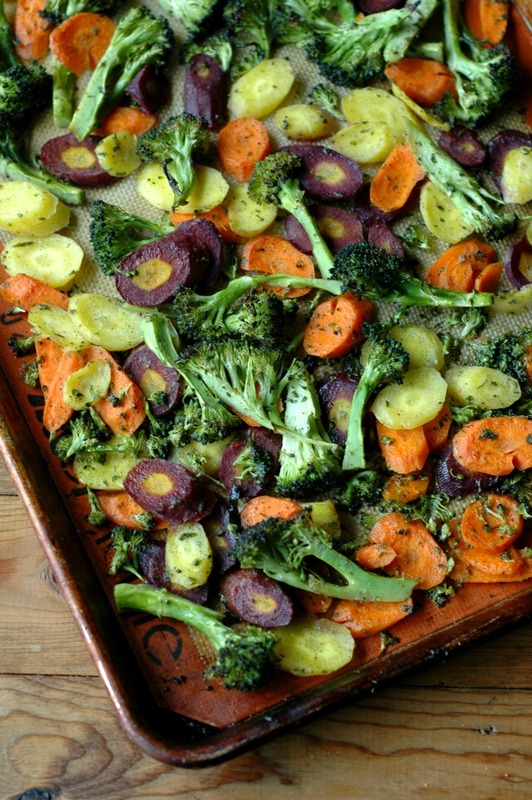 Toss the broccoli and carrots with 3 tablespoons of avocado oil, 2 tablespoons of parsley, and sea salt/pepper to taste on a Silpat lined baking sheet so everything is coated evenly. Spread the veggies to cover about ½ to ¾ of the baking sheet, leaving room to put the salmon on the same sheet. 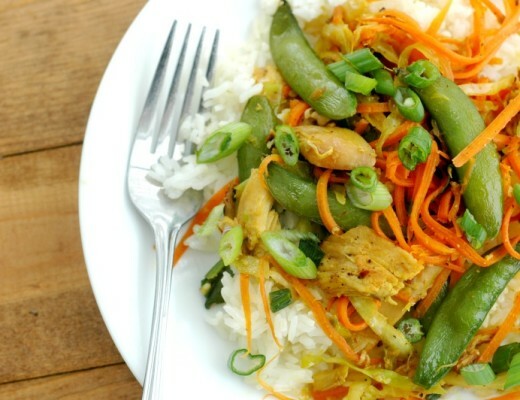 Combine the coconut shreds, almond flour, and 1 ½ tablespoons of all season salt in a small bowl. In a separate small bowl, whisk the mustard, raw honey, and mustard powder. This. Looks. Amazing. Seriously, I got the biggest heart eyes when I saw this. What a beautiful meal! It’s so nourishing too. This would be a HUGE hit in my home. 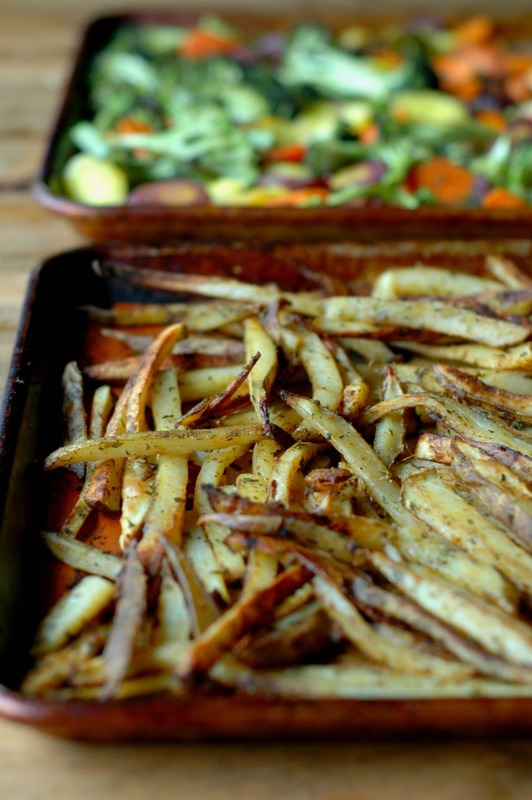 I’m completely addicted to sheet pan dinners, and I love the addition of fries because they’re probably my ultimate weakness! I love how you show us full meals – and this one is one I’d be proud and happy to serve my family. Think this will have to go on our meal plan for the week next week! I love sheet pan dinners. 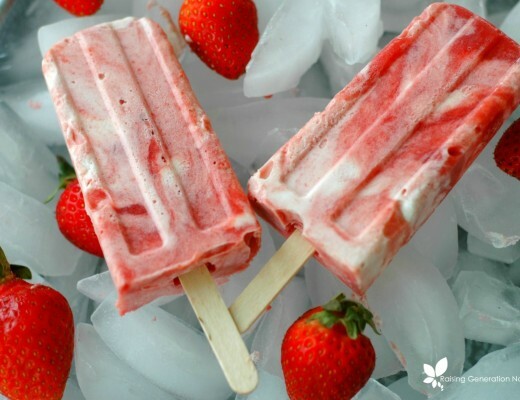 And this looks delish! I’m obsessed with salmon and veggies! Love the minimal cookware needed for this. I love this meal! Definitely one the whole family would love! So delish! 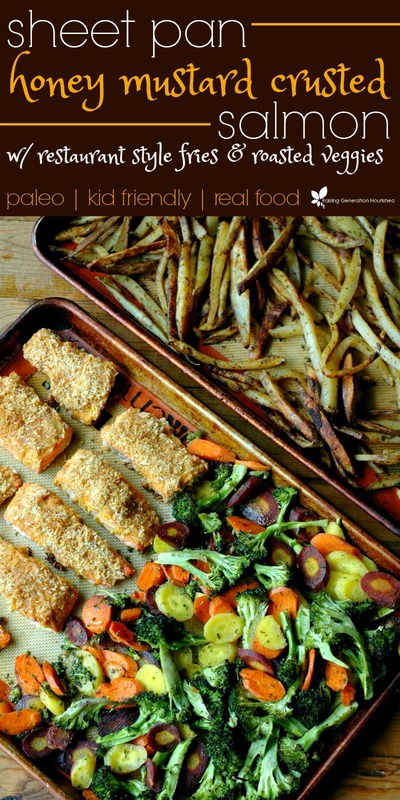 Love sheet pan meals and these combo looks so nutritious and delicious ! I love that you kids enjoy eating salmon at an early age ! Love these kind of mid week meals, this looks so healthy and nutritious and colourful for little ones too. 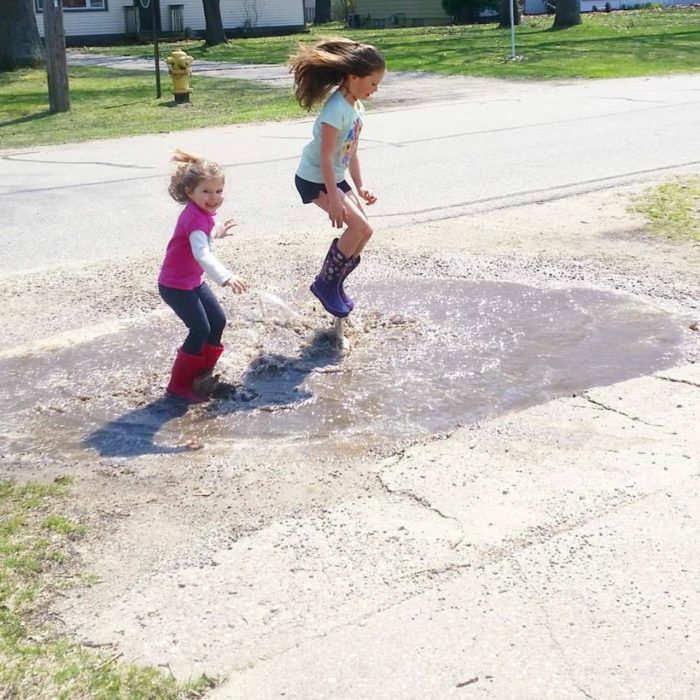 Yay for spring! Absolutely loving sheet pan meals right now for quick and easy dinners! I love the ease of sheet pan meals, and this salmon looks absolutely divine. 🙂 On my dinner list. This is one of my favorite flavor combinations! 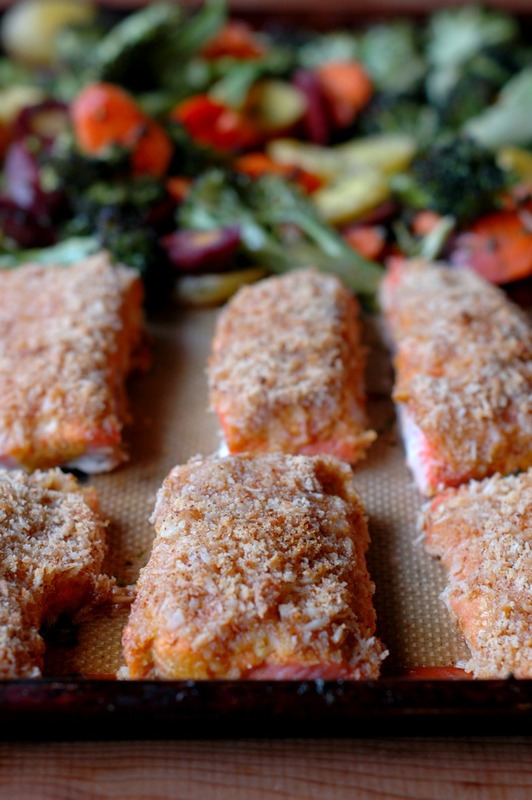 This meal looks so delicious and that coating on the salmon sounds amazing! What a great all-in-one meal! 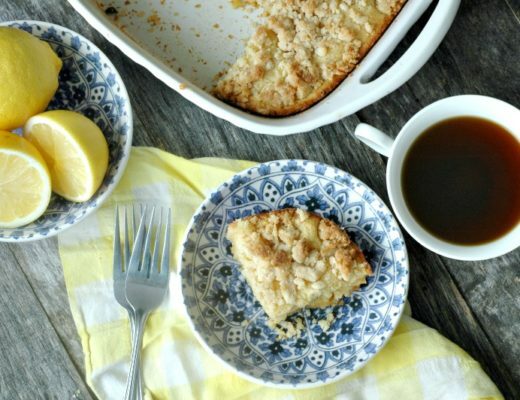 What a great dish for fueling the whole family!! And I hardly ever make fries, and yours look so amazing! MUST TRY! Yesss! I cannot resist a good sheet pan meal! Love all the varied flavors and textures here. 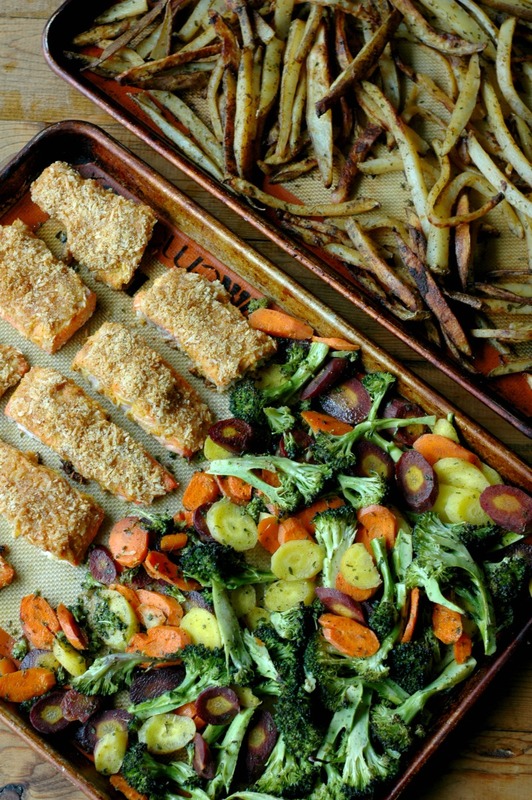 I love how sheet pan dinners and your crusted salmon looks amazing! What a gorgeous meal. Love that it’s one pan!